I work as a software engineer full time. One of the larger codebases I work in is a set of microservices written in Go. I'm not an expert in Go, but I've started to figure out my way around it. Happy to help others trying to learn more! Go admirer. Instigator. Chaser of shiny objects. I only started learning Go about a year ago but I've quickly come to love it. I hope I can help you learn to love it too! I developed a curiosity towards Go through wanting to better understand the tools we used at work. I was pleasantly surprised to see how straightforward the language specification is. I’m keen to learn and to help others on their Go journey. I like Go for its simplicity and single-binary deployment, it's a good fit for CLI tools and network servers. After some years of Node.js I am working as a Go developer now. 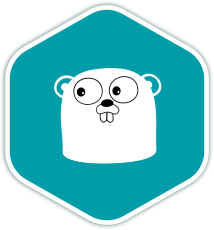 I am very impressed by Go's strong principles, ease of use and all the out-of-the-box tooling. I love Go for its simplicity and consistency. I've written Go professionally, and also use it for open source projects. Go comes with a very clear image of how to write go-code, a powerful core library, a huge community, platform independence, a great concurrency model, and lots of other things that make this programming language great. I really enjoy writing Go! I use Go every chance I get whether it be open source, personal projects, or work. I am an enthusiastic 14 y/o developer. I mainly code in Go, but I know other programming languages as well. Along with programming, I pursue other topics like science, math, etc. Full time backend engineer. Gopher. Go is one of the languages I have worked with during my 20+ years as a developer. I like it for some use cases. It is a noisy thing and that can be really good at times! I've come to love working in Gol and Python, and am always on the lookout for the next big thing to pickup. There is always something new to learn! Someone wise said that the best way to learn something is to tech that, so here I am :). I don't write on Go for a long time but I already know enough to share some useful info and help newbies. Happy to help! I love Go and the Go community. I am a software engineer with 10 years experience. I have been programming in Go for several years both professionally and for hobby projects. I've come to love the simplicity and expressiveness of the language, as well as the wonderful community of people that has grown around it. Passionate developer. Live long learner. Father. Geek. Frat Boy :). I've written Go professionaly and it is my FAVORITE language! Go is somewhat of a new language for me and I've been trying to learn more and more of it. I got a taste of it through reading some Docker code and I find it to be a better C, which was something I wrote in a past life. I love writing Go, because of how I feel I can be very productive in it, and it's easy to read other People's code. Since early 2016 I'm a fulltime Go developer. I love it because it's so simple and yet so powerful. I'm a junior developer from Thailnad. I want learn a new technology for improve myself. 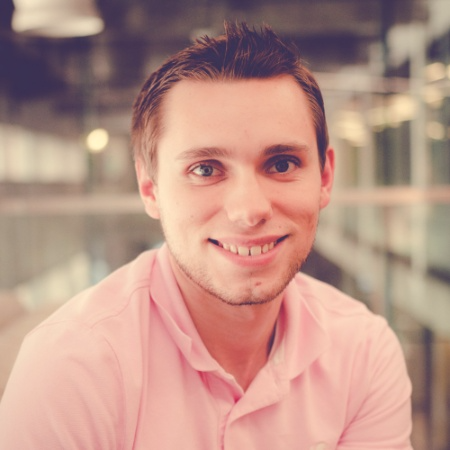 Consultant, author of 'Cloud Native DevOps with Kubernetes', Gopher. Terrible surfer. Se habla español. Ici on parle français. Hier wird deutsch gesprochen. Esperanto parolata. I started go 4 years ago, using it professionally and personally. Explaining to others is the best way to make sure you understand, they said! Go is my first and favorite compiled language. I love its extensive standard library and its documentation conventions, tooling, and idioms that make the code useful and accessible to programmers with a wide range of experience. To be honest, 90% of the reason I love Go is because of the mascot. Go developer based out of Nashville, TN. I enjoy Go because of it's simplicity and no-frills approach to development. Go is the first compiled langauge that I was comfortable with. It is also the first langauge I wrote production worthy code in. Tech lead at The Economist, love Go and open source. I have more than 10 years of production experience. I love Go/Ruby because of its friendly and active community. Nothing is impossible when you do what you love! Happy coding!